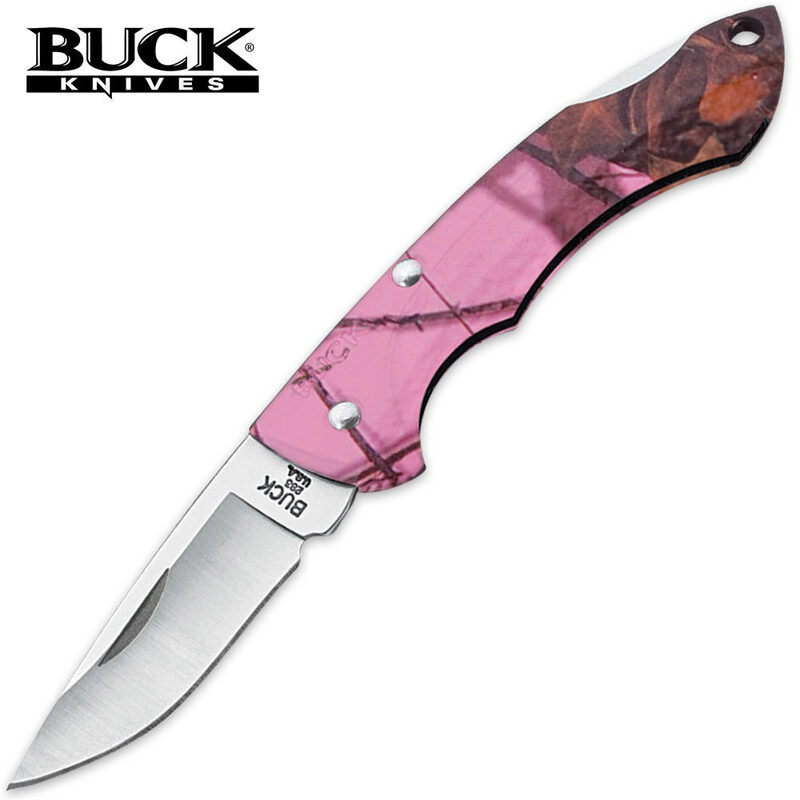 Buck Nano Bantam Mossy Oak Pink Blaze Camo | BUDK.com - Knives & Swords At The Lowest Prices! The Buck Nano Bantam is a lightweight compact folding knife with a design that has long been a customer favorite. The razor-sharp drop point blade is constructed of high carbon 420 stainless steel. The contoured handle is complete with a Mossy Oak Blaze Pink Camo pattern and a lanyard hole to fit perfectly on a key chain.